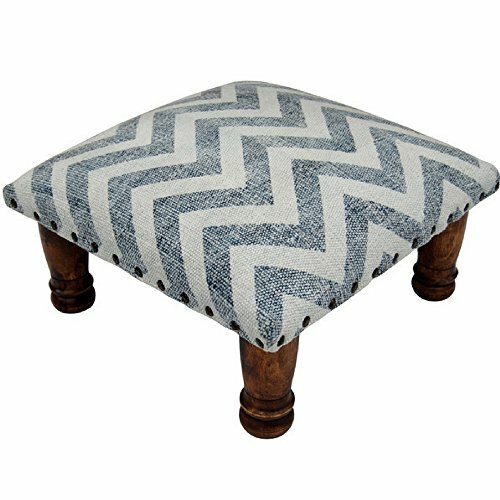 Update your home decor with this beautifully printed cotton-upholstered footstool. This unique piece of world art is handmade in the Judhpur area of India by local weavers. Featuring tones of grey-black and white with stained wood legs, this piece adds the perfect decorative touch to any room.